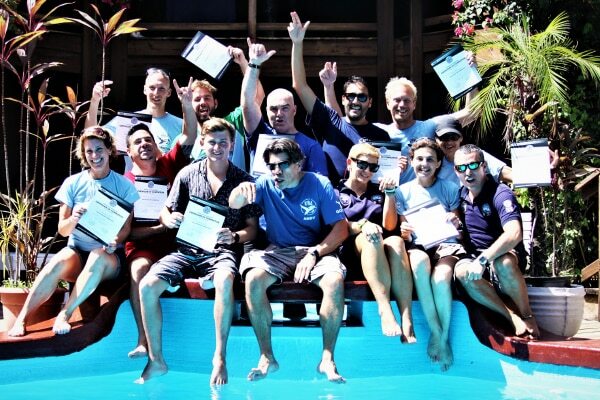 There’s many reasons we’ve been awarded #1 PADI Instructor Development Center Worldwide and why our Course Directors are ‘Platinum’ rated, but most importantly we offer world class training and excel your career. 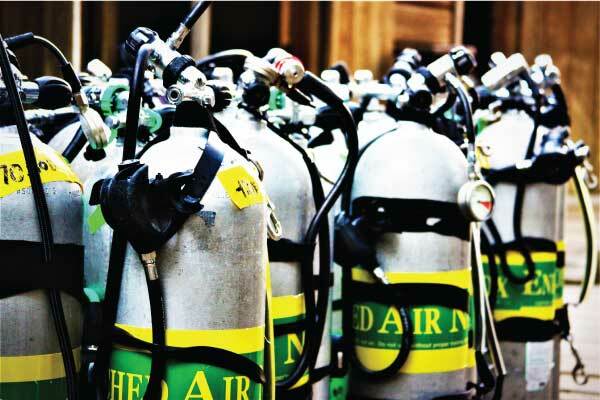 UDC is where real divers come to train! For some divers it starts with their first few breaths underwater, for others whilst on vacation in the tropics and seeing the reality of an alternative lifestyle. 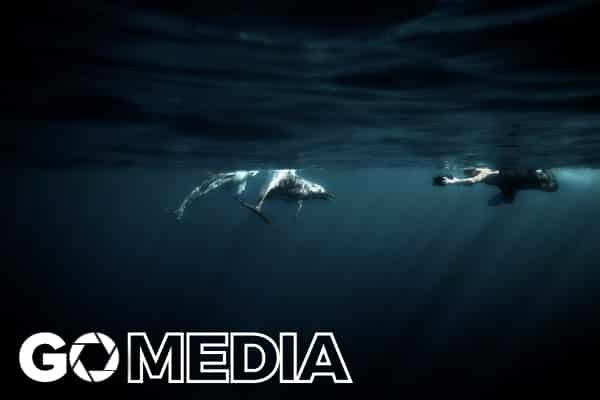 For some it starts as they swim over a coral reef and interact with aquatic creatures and realize this is the ‘real world’, or for many as they interact with dive professionals and see the rewards of such a lifestyle and how it can easily become a reality. My name’s Andy and I’m the ‘Director of Professional Training’ for the Utila Dive Centre on Utila, Honduras, Central America. 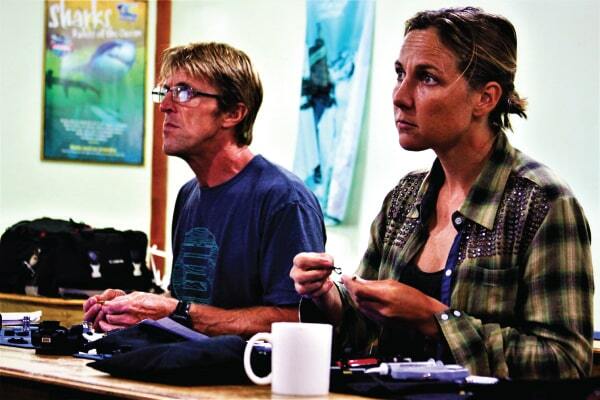 I oversee all of our professional training programs and work with my colleagues PADI Course Directors Suzy Phipps & Josiah Mackin. 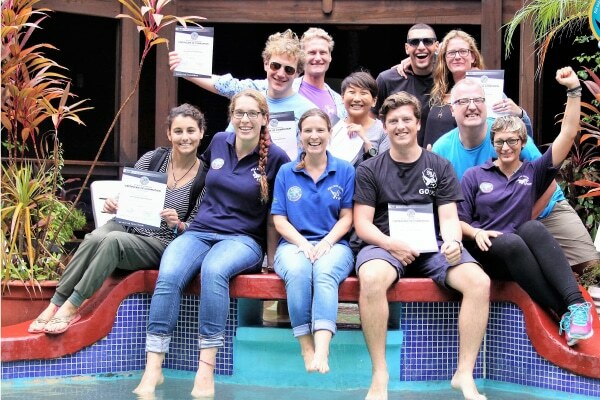 As a dive professional, you want to make sure that you get off to the best start with your dive career – and that means looking for the right dive facility and staff to undertake your PADI Divemaster and/or ‘Instructor Development Course’ (PADI IDC) and continuing education programs with. We’d like to help you decide if ‘Utila Dive Centre’ is the place you would like to be trained as a PADI Instructor and if our team of dive professionals are the people you want to learn from and continue to be supported by throughout your entire dive career..
We don’t claim or boast to be the best or the biggest PADI Career Development Center though PADI have awarded us #1 Instructor Development Center in recent years (unprecedented for 2 consecutive years!). We don’t want to be the cheapest as that would only compromise your training and education, but we do consider our facility a team/family based Career Development Center with one of the most personable atmospheres world-wide. 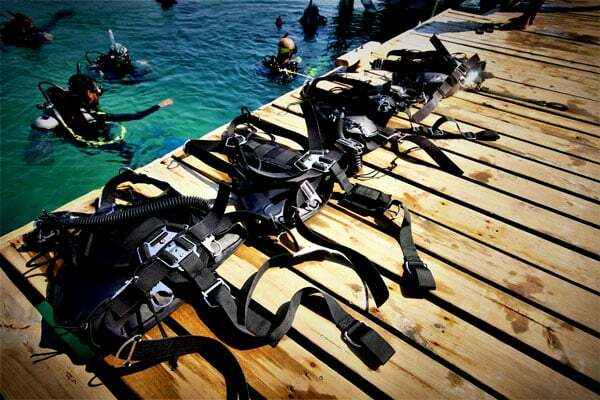 There are other much more commercial, resort focused in all inclusive resorts and bigger and more business-orientated dive schools where you can undertake your course, many thrown in freebies such as accommodation and meals to make up for what they can’t give you in terms of quality training options and unlimited diving. We prefer a more personalized, real-world approach to instructor training. Let us give you an idea of what you receive when you take your training with us in regards to our staff, experience, facility, reputation, attitude, ambiance, and atmosphere and training philosophies. Once you’ve met our staff and facility you’ll be inspired and motivated to undertake your professional training with us. 2019 sees UDC entering its 19th year of training Scuba Instructors and 29th year of training PADI dive professionals, and we’re proud to say we have the most experienced, qualified, and knowledgeable and the longest-serving team in Central America. That’s an asset you will feel when you are taking your training with us, and one that will serve you throughout your entire dive career. 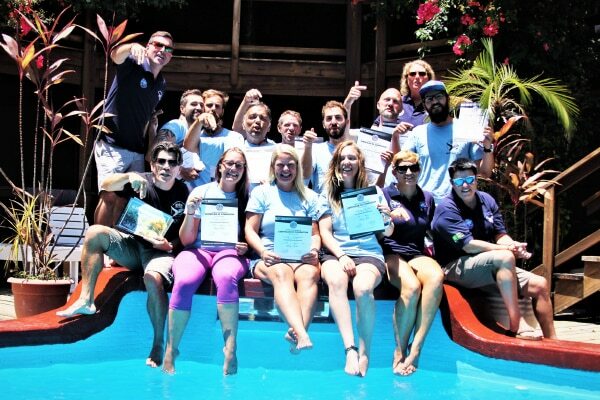 We’re also recognized as the premier PADI Career Development Center in Central America and the Caribbean and have trained many of the Course Directors and IDC Staff Instructors in the region. 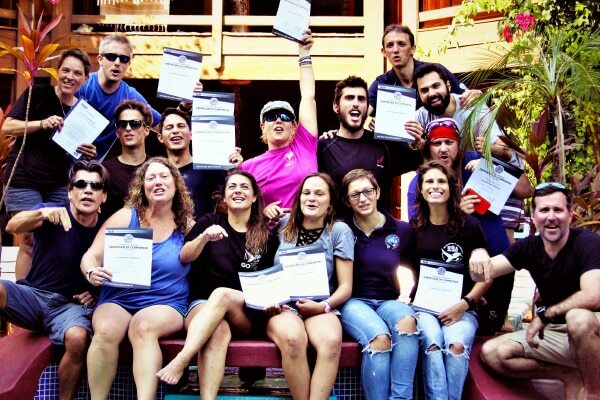 More PADI professionals chose to conduct their professional training with us than any other facility in Latin America, based on our reputation for success with (and beyond) the exams and our lifetime pledge to all our trainees. 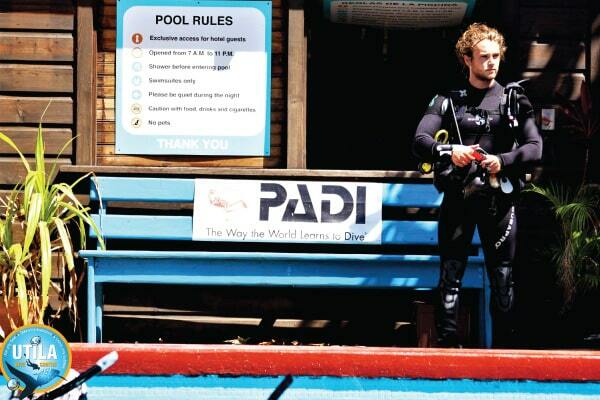 Your Divemaster training will be conducted by not just a regular PADI Instructor, but by a PADI IDC Staff Instructor. Your PADI IDC will be run by our Platinum PADI Course Directors, and we guarantee you will not be in a group size of more than 6:1. This ratio allows us to provide dedicated personal instruction and share our teaching experience and knowledge with you – plus have fun! The fact that over 80% of our Instructor candidates chose us through word of mouth recommendation, not advertising or marketing, is a recognition of the quality, professionalism, knowledge, expertise, and fun that our Instructor Development team puts into every Instructor Development Course. We ensure that in addition to professionalism, safety, and high standards, all the Instructors we’ve trained leave UDC having had a rewarding, exciting, educational and fun experience with an open door to returning in the future. 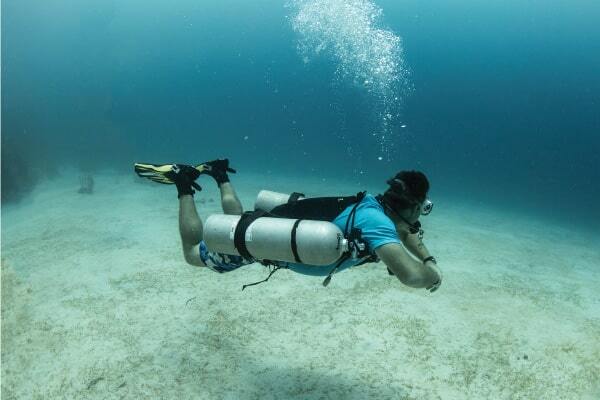 All our current dive professionals who work at Utila Dive Centre have come through either our Divemaster or Instructor training programs, and the majority of dive professionals working in the Bay Islands (including several other PADI Course Directors) have also been trained by our team. Our success at training PADI dive professionals and the quality and curriculum of our Divemaster and Instructor programs is often imitated by other facilities in the region, but there is no substitute for experience and we acknowledge that imitation from other dive centers is merely a form of flattery! 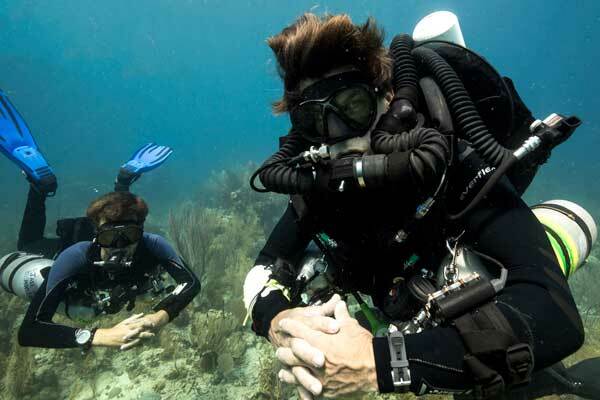 Our philosophies and the thoroughness of the training and options you have with the Utila Dive Centre, whether you are training to be a PADI Divemaster or Instructor, is unmatched in the Caribbean or Central America. 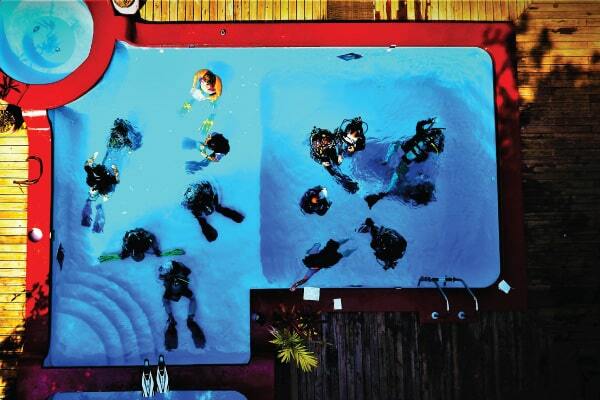 We have been recognised and awarded by PADI as a premier training facility worldwide. 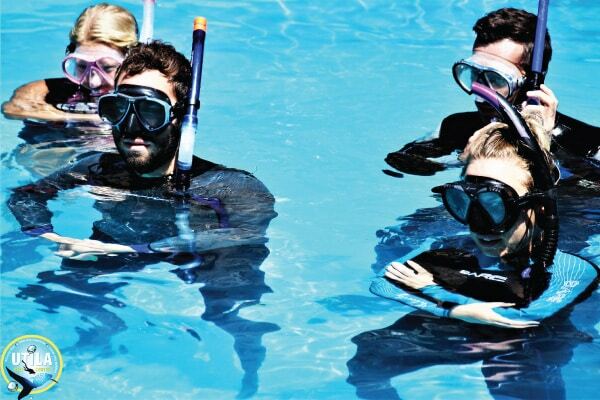 Our PADI training facility is modern and air-conditioned and lessons are given using the latest multimedia presentations. Our ‘Open Water’ training site is a shallow protected clear body of water lined with palm trees and white sands and will prepare you best for when you yourself come to teach this amazing sport of diving. We conduct our Instructor course in the ‘Mango Inn’ conference facility with internet access, set in its own landscaped gardens and away from noise and distractions. We even have an on-site freshwater swimming pool that allows us to spend more time in the water with you on individual skill development, so that no matter what the weather conditions are, you get the best training and learning environment. The time that we can save on logistical trips is passed over to you for one-on-one counseling and training practice in our pool. Our IDC is 5 days longer than the industry standard of 7 days, and longer and more comprehensive than any other facility in the region. That’s 12 days of quality instructor training with a free preparation program included when you book online and in advance. We also have an online option available for those candidates with time constraints. 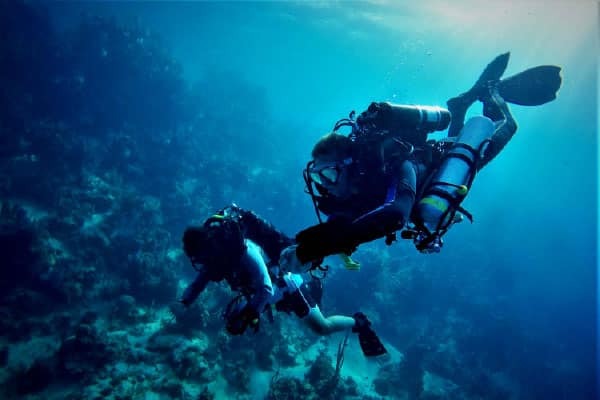 We’ve extended our IDC program to cover more effective teaching techniques, discuss instructing in different worldwide environments, children’s dive programs, beyond recreational diving ‘Tec-Rec’, and resort management. 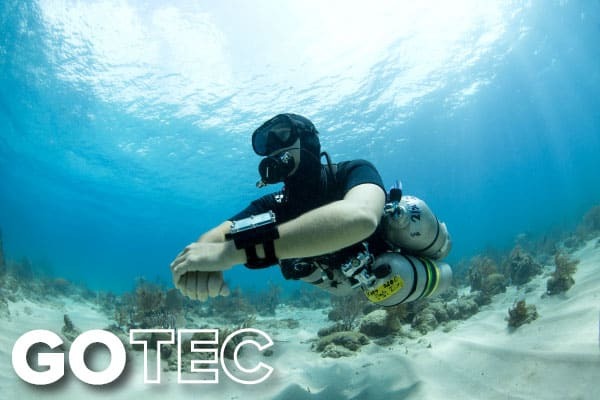 We hold practical in-water sessions on rebreathers (the future of diving) and look at greater career opportunities in diving, including ‘diver safety’ and ‘technical diving’. We discuss resume preparation and what gives you the best chance of success as a professional in today’s dive industry. We invested in 4 Poseidon Closed Circuit Rebreather units to offer this level of training as the dive industry evolves and conduct regular try/intro dives for our interns, no other facility in Central America/Caribbean can offer this, nor provide training programs with International Yacht Training to really give you a career headstart and make you more employable. In 2018 we were the only dive center approved with a Government license to sat up our Utila Coral Restoration project and we have the only dedicated coral nursery on Utila, so as well as contributing back to the local environment we can provide additional conservation and marine biology education and experiences. 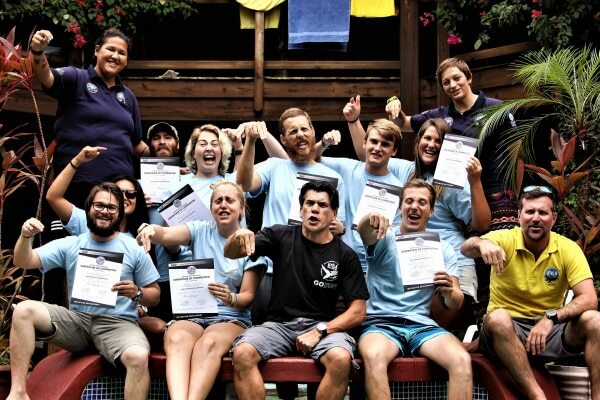 Our UDC professional programs team has received recognition from PADI for their teaching efforts and many ‘certificates of excellence’, and between them have to date issued over 5000 PADI certifications. 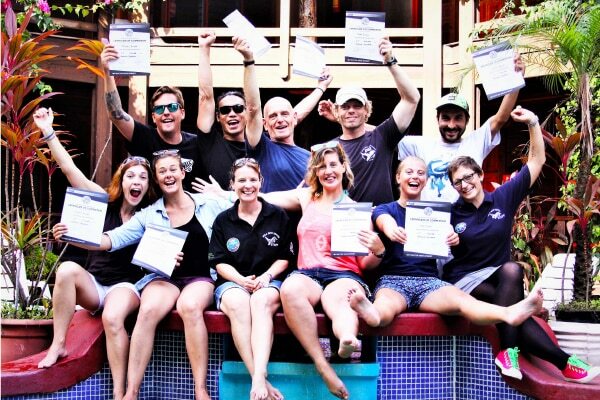 Our Course Directors have been awarded the highest rating a PADI Course Director can receive as ‘Platinum’ status for the last 14 consecutive years. 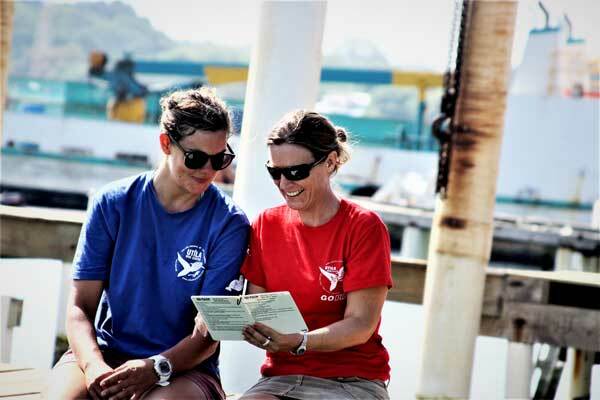 No other PADI Instructor facility within Central America has 2 full time Platinum PADI Course Directors wirh accomplished backgrounds in diving, not just qualifications but real diverse experience that benefits your training. As a dive professional, I am passionate about dive travel and adventure and have previously worked in Egypt Red Sea, Thailand SE Asia, Galapagos/Costa Rica Pacific, Cyprus Mediterranean, Caribbean and South Africa. As well as holding the highest qualification in recreational diving as a PADI Course Director, my other diving interests are in technical trimix diving as an IANTD Trimix Instructor (International Association of Nitrox and Technical Divers) and also cave diving as an NSS-CDS full cave certified diver (National Speleological Society – Cave Diving Section), with many hours logged exploring the cenotes/cave systems of the Yucatan peninsular in Mexico. 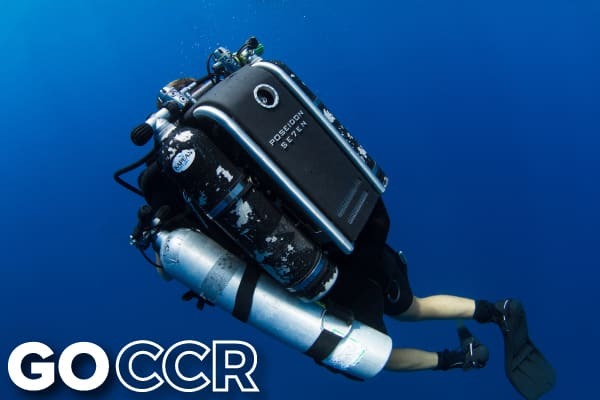 Our staff are currently the only certified Rebreather and Sidemount Instructor Trainers in the region and I am often involved as a safety support diver and technical consultant in diving projects conducted within Central America and in recent years have led expeditions on closed circuit rebreathers to the Galapagos Islands and also dived the infamous shipwreck the ‘Andrea Doria’. Our team practices what we preach……. The team I work closely with includes Platinum Course Directors Josiah Mackin, USA, and Suzy Phipps from the UK, also a marine biologist. Our Instructor Development team have varied backgrounds, from stock broking in London to engineering in Germany, from wine growing in Spain to computer engineering in the Far East, but the one thing we all have in common is our love for diving and our passion for the wonderful lifestyle that this industry bestows upon its professional dive Instructors. Our motivation varies from giving beginner divers their first underwater experience to showing ‘pros in training’ just what it takes to be a success in the modern dive industry and how to unleash your potential as a dive guide/instructor in some of the most exotic dive destinations on Earth. Our backgrounds in business bestow upon us important principles in customer service, professionalism, integrity, commitment, and customization, which help us deliver your training and experience in a dedicated, personal manner. I graduated with a Masters degree in E-Commerce and have consulted with PADI and other dive resorts on dive industry topics and have also spoken at conferences. I apply this knowledge to your own course to give you the best head start to your career and we’re at the forefront of using digital media in our courses. 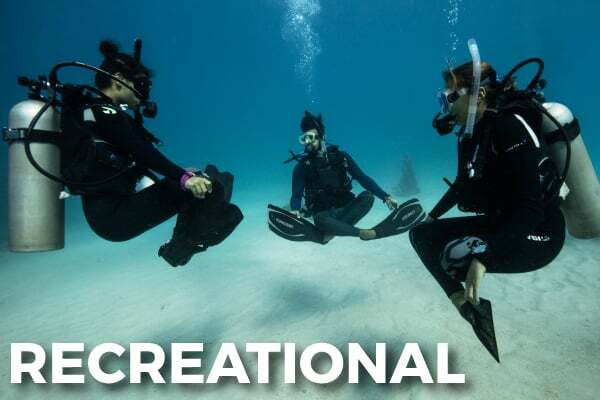 We’ve all worked as dive professionals for many years and have certified thousands of divers at all levels, and we still enjoy teaching at all levels and training future instructors how to be safe, professional, successful and fun. 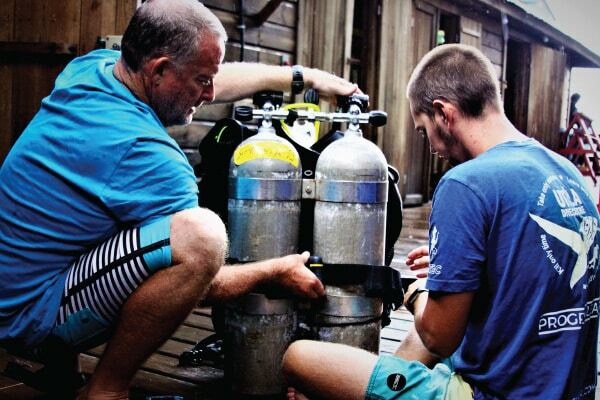 Our IDC Staff assistants are also qualified to teach both recreational and technical trimix diving, including PADI Gas Blending and the full range of ‘Divers Alert Network’ programs such as Field Neurological or ‘First Aid for Hazardous Marine Life Injuries’. We’re also the only team and facility in the region that can offer International Yacht Training certifications and include IAHD-Americas Adaptive Teaching (Disabled Diver) Instructor training and ScubaPro Equipment Technicians class with our IDC/MSDT, and between our staff we can also teach in German/French/English/Spanish, working with you for closer supervision and attention. When not busy instructing on Utila, our team are often seen together on Utila’s reef on photography dives, studying the eco system, diving rebreathers, exploring new sites with technical equipment or sidemount configuration, or promoting conservation of our underwater heritage or working on behalf of the local environmental group ‘The Bay Islands Conservation Association’. 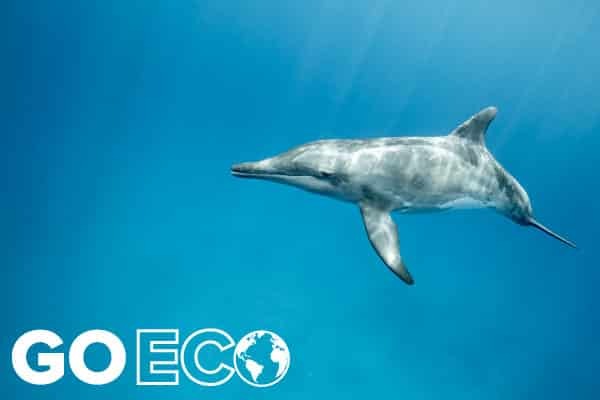 Not only does this benefit the underwater environment, but we keep our dive professionals on the cutting edge of environmental issues and instruction. Our commitment to you doesn’t end at the Instructor Examinations. 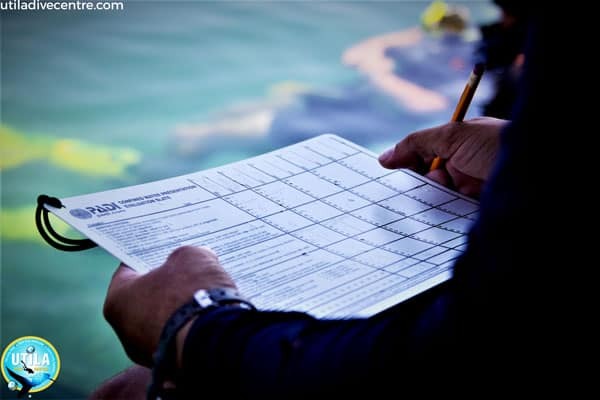 After the Instructor Examinations we have a full range of Instructor level continuing education programs designed to give you a head start to your dive career. 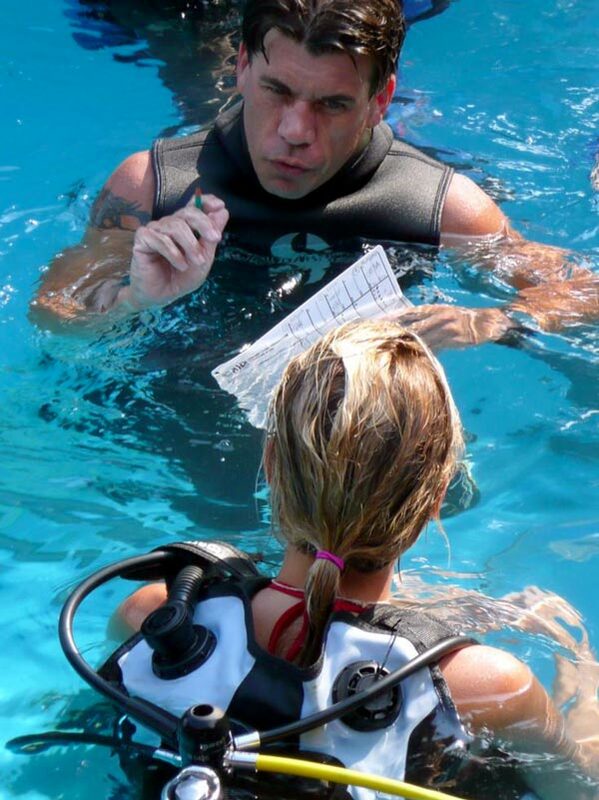 We have also designed post-IE programs that mentor you with one of our resorts’ experienced Instructors, and you can follow, observe and shadow them as they teach their courses (Open Water to Divemaster) so that you get to put into practice what we taught you during the IDC about real world teaching, at no extra charge. 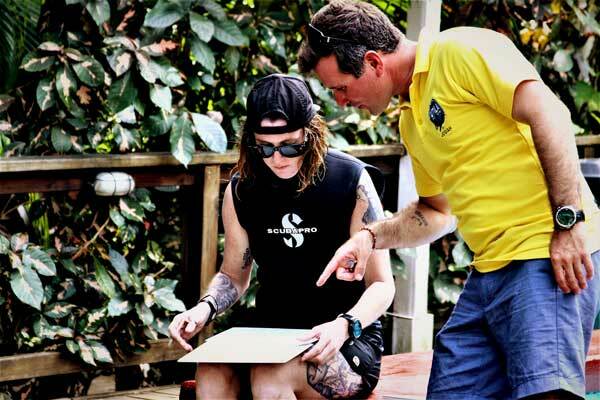 This gives you valuable experience and a work reference from our PADI ‘Career Development Centre’ 5 star resort and will make it easier for you to find your own Instructor position. Our goal is to get you employed as an Instructor, not just pass the IE. We will work closely with you to help you achieve this – after all, your success is also our success. 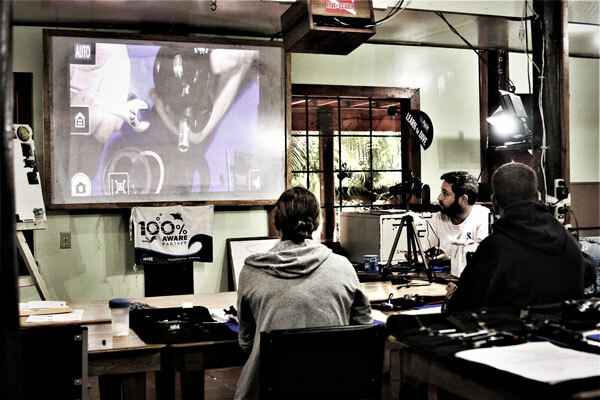 As part of our commitment to you, we send regular updates keeping you informed of changes in the Central America/Caribbean dive industry, and most importantly you become part of a professional network of divers (Divemasters/Assistant Instructors/Instructors) that have all trained at Utila Dive Centre with our Global Dive Network. In addition to our Staff who have worldwide contacts and teaching experience, we can use this network to place you in touch with other professionals who are working all around the world to help you find employment or to simply get advice, no other facility has such a strong network as Utila Dive Centers worldwide, chances are when you’re sending your CV/resume out looking for employment it will be read by a UDC alumini. 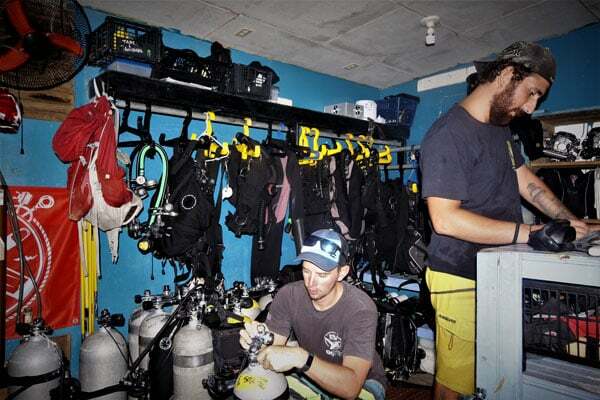 At Utila Dive Centre we prefer to keep our AI/IDC class sizes smaller and more personal by offering up to 12 IDCs a year and by giving you more choice over your path to becoming a professional. Our average group sizes are 6:1, which is less than the maximum set by PADI of 8:1. If you compare this to other dive resorts you’ll probably find that few other facilities give as many scheduling options, personal attention, or flexibility. 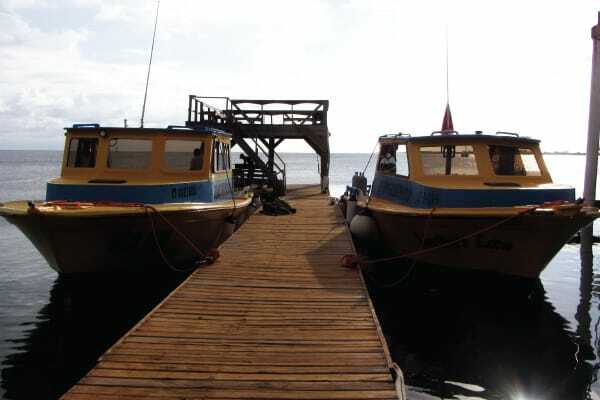 The one thing we cannot give you an idea of is the great ambiance and atmosphere that exists at Utila Dive Centre. Probably one of our biggest assets is intangible, because no matter how well equipped our facility is, no building, boats, classrooms, or equipment can match the care, attention, service and quality that we put into every PADI Instructor Development Program and all the staff at our resort who work so hard to achieve this ethos. Whilst many other facilities often try to imitate our training and philosophies, we can assure you that we are never surpassed. This is reflected in the caliber of the Instructors we train, our track record, and the fact that we have the longest serving team of Instructor Development staff in Central America. Our IDCs improve on a course by course basis, just as we also train you to constantly evolve and raise the standard of your own dive courses. 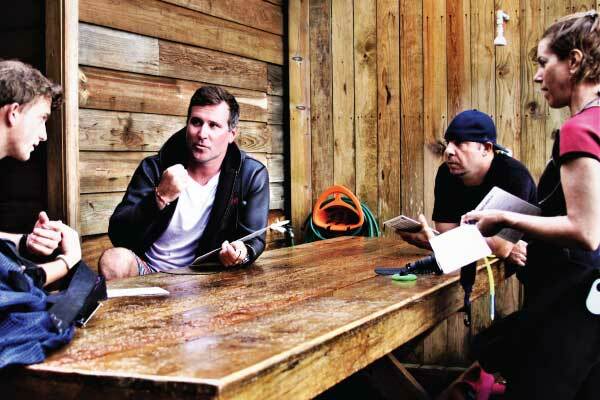 I made a career choice like the majority of Instructor candidates do, many years back, and at the time planned just a few years working and traveling in the industry, and never planned to take the path that I did or develop a career in the dive industry. I believe that exposure to a real world diving environment, and being fortunate to have mentors who were committed divers and Instructors, and not just vocational Instructors (or resort/pool sales people), encouraged me to advance and get more out of this profession. At Utila Dive Centre we are principally a dedicated team of active divers and professionals (I believe the most qualified and active worldwide! ), and we all still continue our own education each year, and really take our mentor ship and role-modeling seriously and we measure our success not by financials, numbers or pass rates, but by how our candidates succeed within the industry, and for that reason take an ongoing interest in every one of the professionals we train, not just during the courses but years after their time with us. We’ve created a Youtube channel and Facebook community that gives people a feel for our facility, and would encourage you to take a look at these if you haven’t already. 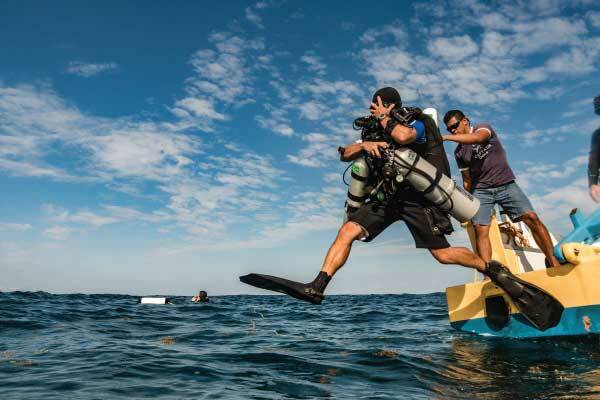 We hope you now have a better insight into how we at Utila Dive Center can help you get off to the best start in your professional dive career. So please, if there’s anything specific we can help you with, don’t hesitate to contact us and we’ll back to you ASAP. What more are you waiting for? 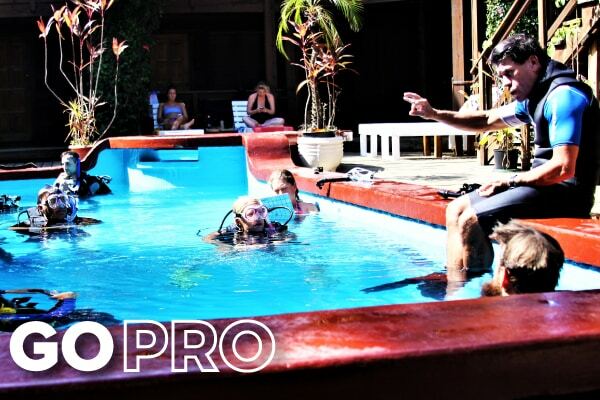 GoPro in Paradise with the most rated team (by PADI) in the Western Hemisphere! Call us +1-305-420-5959 or WhatsApp +504 33732521 and we’ll call right back for a personal discussion about your professional training goals, specific course prices, requirements and other questions, or e-mail us at gopro@utiladivecenter.com.